Two smooth ovals in brushed nickel stand tall together to create the base of this table lamp. 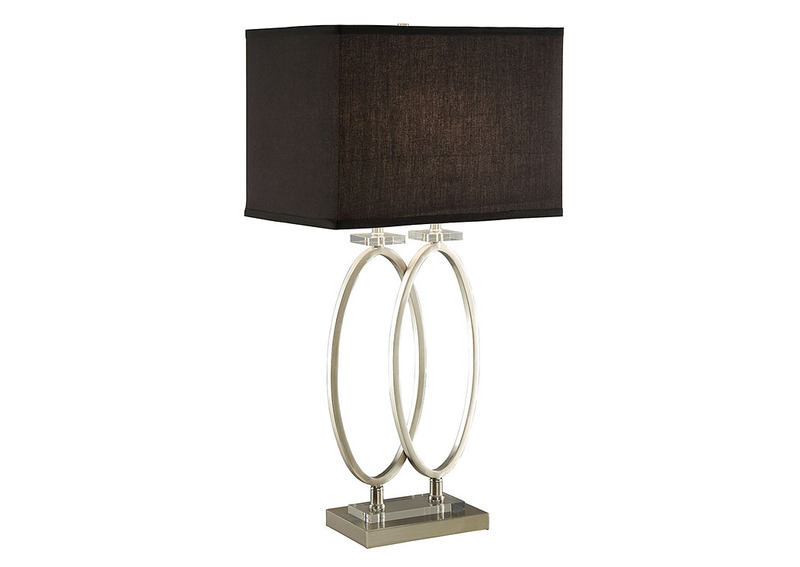 The look is reminiscent of wedding rings, and each oval is topped with a clear square, creating a contrasting transition to the lamp shade in a bold, black fabric. This lamp is sure to bring warmth and happiness to your room. For use with a 100 watt bulb, this lamp features a three-way switch.